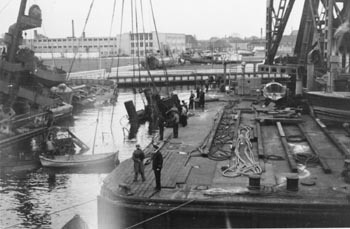 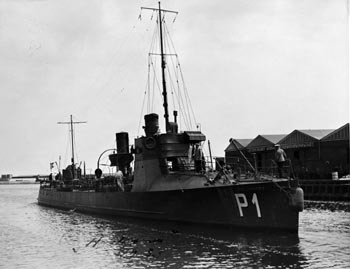 On August 29th the old torpedo boat HVALROSSEN was placed next to the coast defense ship PEDER SKRAM near the old Rigging Shears. 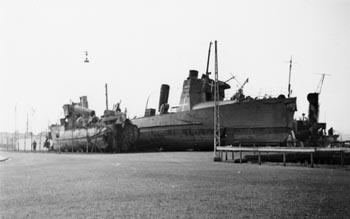 Here the ship was scuttled at 0420. 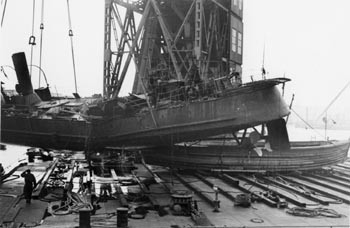 HVALROSSEN was raised on September 17th, but the keel broke, and the ship was placed on land. 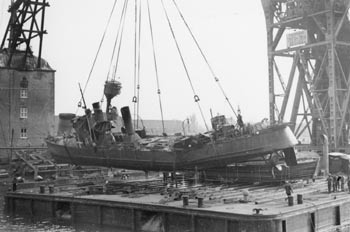 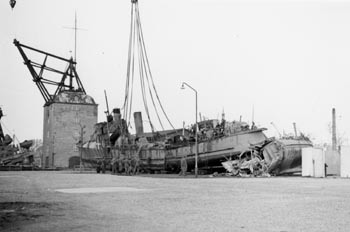 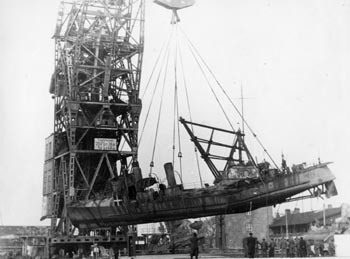 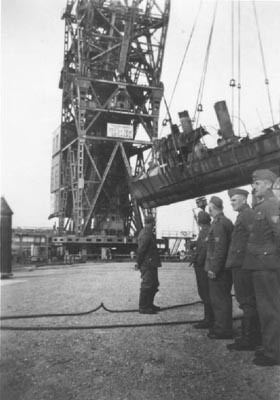 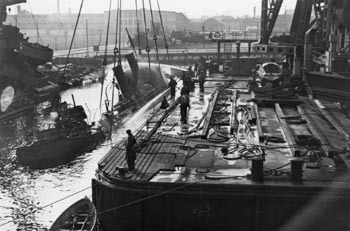 Most of the ship was scrapped by the Germans during the war, and the remains was sold for scrap right after the war.